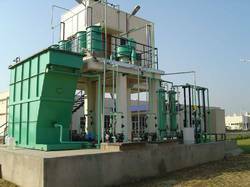 Manufacturer of a wide range of products which include wastewater treatment plant. By utilizing modern machines and latest equipment, we are engaged in manufacturing and supplying an exclusive range of Waste Water Treatment Plant in Chennai, Tamil Nadu, India. The offered plant is made in tandem with internationally laid quality norms as these are manufactured using best grade raw material, sourced from the most eminent vendors of the industry. Looking for “Wastewater Treatment Plant”?